My Blog Spark and Fiber One teamed up again to present me with a great prize pack and the opportunity to try Yoplait's Blueberry Fiber One. What can I say, yogurt is a very tasty snack! It's the New Year and many of us are trying to eat better and make 2011 a great year. Yoplait's Fiber One is a great go-to snack. It's creamy and sweet and a great source of Calcium and Vitamins A and D.
The girls love yogurt as well! Every chance they get to go to the store with me, they are picking out yogurt. =) They also love to use their yogurt cones to make frozen treats. We were very pleased with the Fiber One yogurt and would recommend it to you. You can even go and print a coupon right over here. :) It's a $1.00 off a 4 pack. "With 50 calories, 5 grams of fiber and 0 grams of fat, Yoplait Fiber One Blueberry yogurt is a perfect solution, packed with real fruit and the great taste of blueberries that you’ll love." 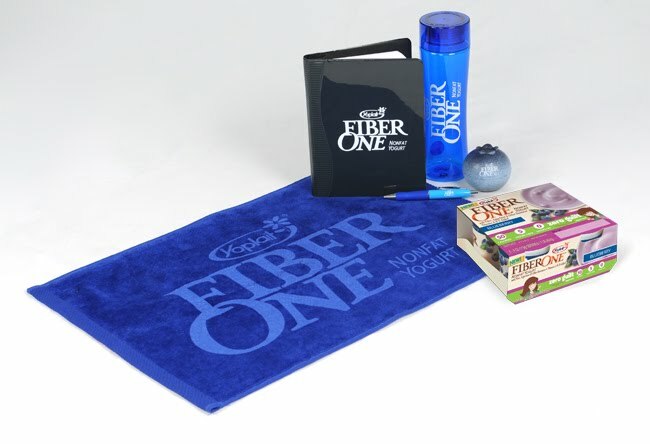 My Blog Spark and Fiber One have generously offered an additional prize pack (see photo above) to one of my lucky readers! Want to win? Leave a comment. That's it! Introduce yourself, leave a link, say hello; any comment will do. Remember to include an email addy where you can be reached if you win. Starts January 11th and ends January 15th. Winner will be chosen via Random.org. I'd love to win this, I'm trying to start eating better this year! I would enjoy the new Blueberry flavor of Fiber One yogurt for lunch :) *Thanks* for the giveaway!